She didn&apos;t even place in our reader poll of hot billionaire heiresses, but Lydia Shaw Hearst managed to get herself into a mess the other night. Here&apos;s how Page Six reports it. 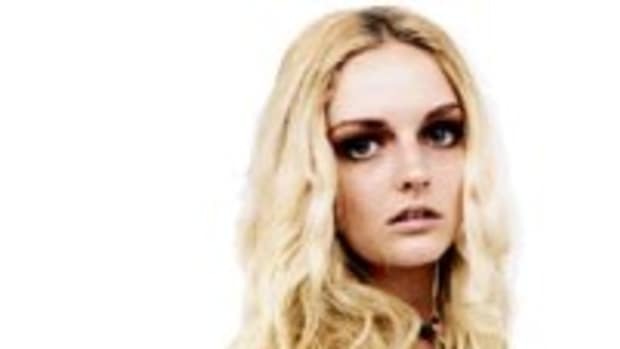 CATWALKING media heiress Lydia Hearst suffered a minor concussion and whiplash after a taxi rear-ended her car in front of Marquee Wednesday night. Hearst and sister Gillian had just arrived for a party for VH1&apos;s "Best Week Ever" when their car was struck. Instead of posing on the red carpet, the gorgeous blonde filed an accident report for police. Hearst tells Page Six her personal trainer noticed that she seemed "out of it" yesterday and urged her to go to the hospital. "Well, I guess minor concussion and whiplash, that&apos;s what it looks like," she text-messaged us last night. "Oh, well, guess I win for the worst entrance ever to a party. Ha!" You have no idea how badly the pain of rich, young and beautiful strikes at our hearts.